Lighthouse Christian Ministries was originally founded as Bay Area Christian Services (BACS) in December 1997 after years of praying and preparation, led primarily by Bayview residents Chuck Gussler and Karl Newmann, pastor of Bayshore Friends Church. 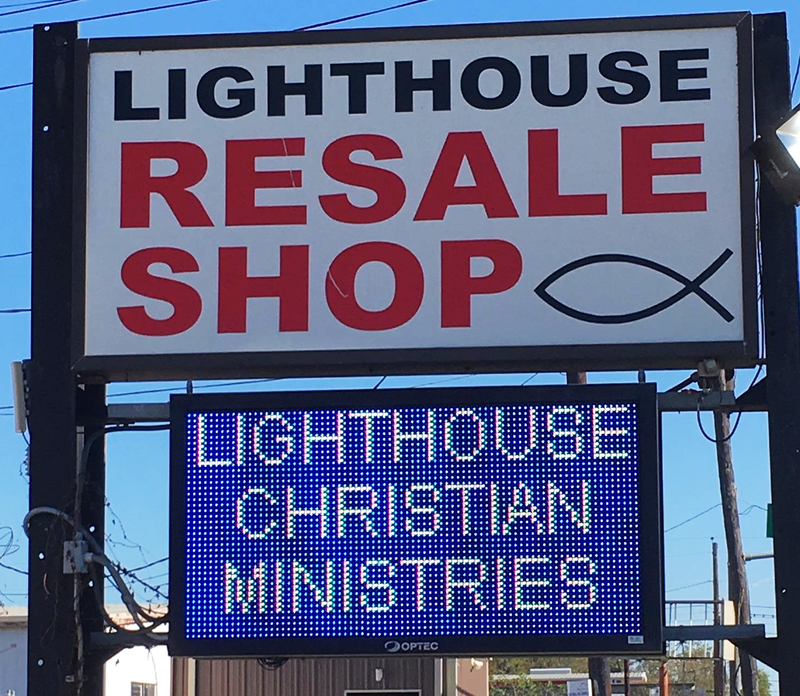 A local businessman, who preferred to remain anonymous, committed to match all donations up to $10,000 to begin the Resale Shop and Gift Emporium that would provide revenue to continue the mission of the ministry. The original location for the ministry was at 1201 State Highway 146 in Kemah. The name of the resale store changed to the Bay Area Trading Post and funded several community services at BACS. The services included limited financial assistance for utilities and gasoline, food from local food pantries, a clothing allowance for families, job interview techniques, access to job boards, contact information to local employers and resume reviews. The ministry made resource packets available for additional services available through area churches and organizations. The packets included information on local programs and events for seniors, families and youth, referrals to parenting workshops, financial management and pastoral counseling to promote strong families and self-reliance.